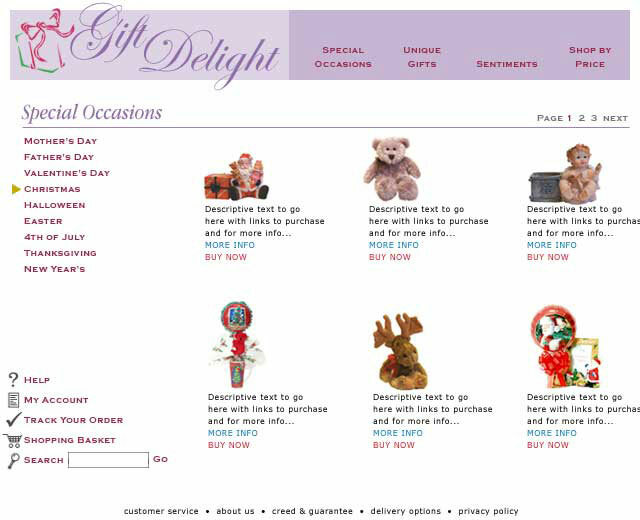 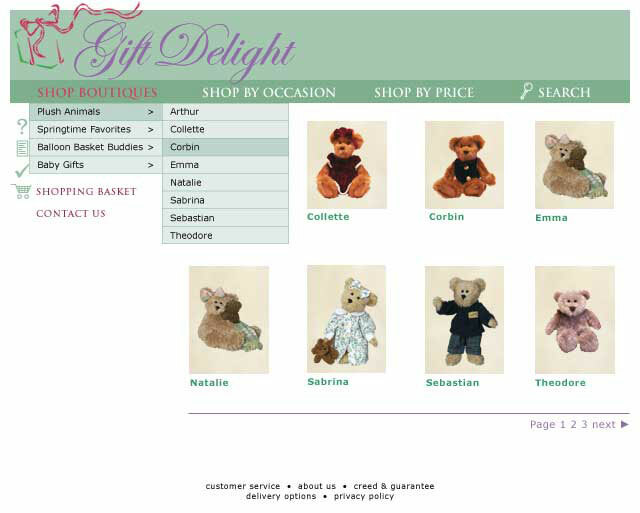 Site development comps for a gift site that changes content and design per the season. 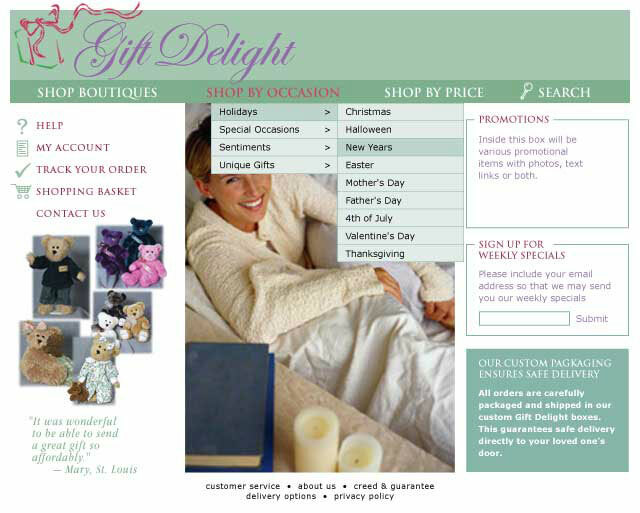 Contribution included site design and user interface consultation. 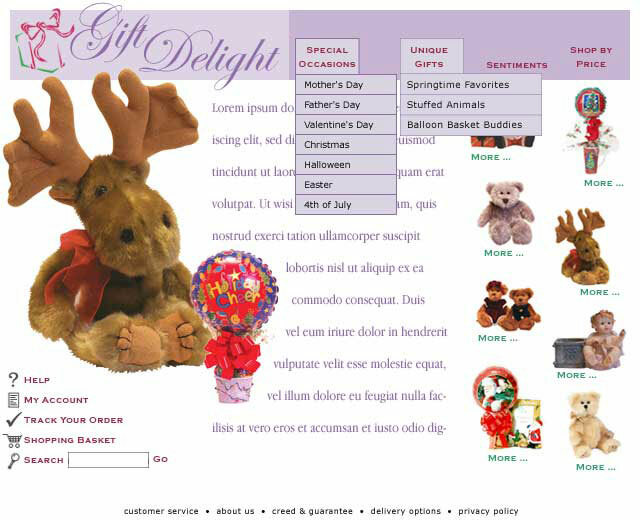 Click the image below for more images.